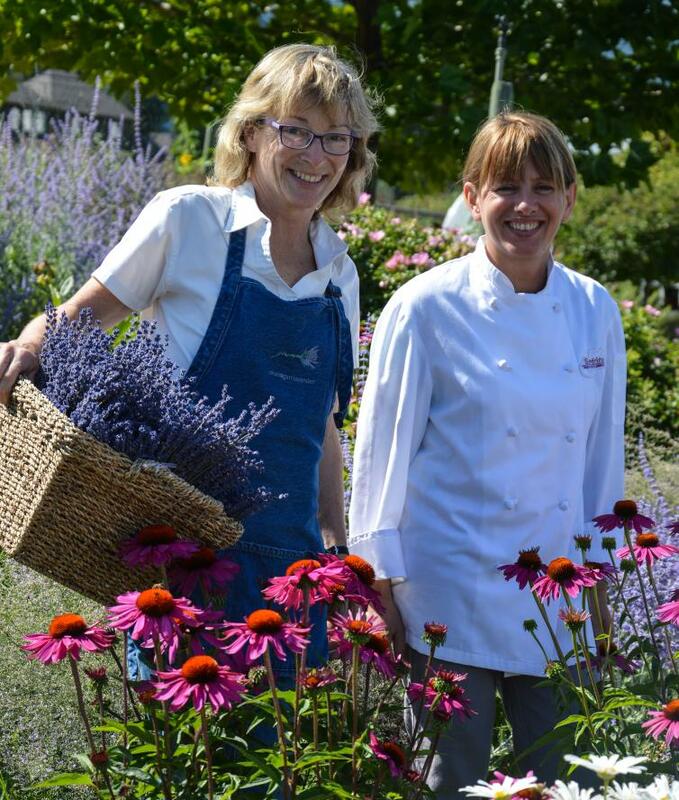 In Kelowna, Andrea McFadden of the Okanagan Lavender & Herb Farm has created a work of art worthy of Provence through her garden. Rows of lavender are accented by a plethora of other gorgeous plants and herbs from which she creates beautiful tinctures, perfumes, culinary treats, face and body products and more! The farm is complete with a farm shop selling these products featuring lavender in all of its glorious manifestations. 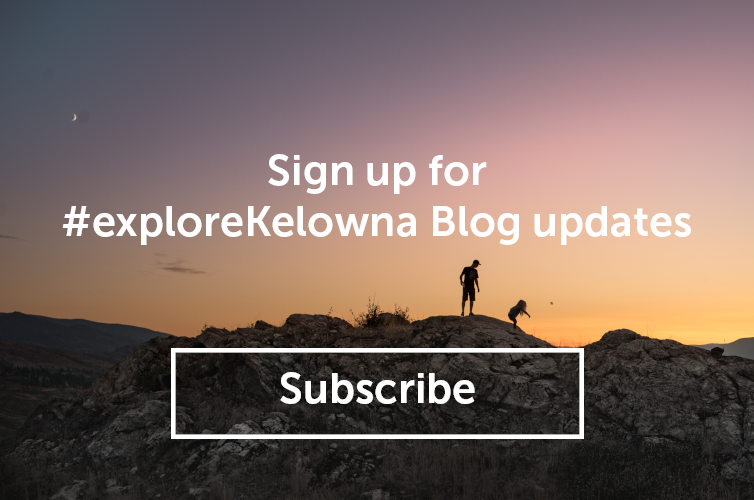 The farm’s amazing view over Okanagan Lake doesn’t hurt either. The farm is coming alive right now as the blossoms begin to open. Dive in and enjoy the sea of purple! In keeping with the theme of France, we also have the pleasure of being home to Sandrine Martin-Raffault, the Okanagan’s French superstar pastry chef. Her shop, Sandrine French Pastry & Chocolate offers a range of delights from pretty packages of chocolates, to macarons in every colour of the rainbow and beautiful petit cakes, tarts and croissants; she also offers savoury treats and dinner or perfect picnic fares like pate and quiche. My current obsession is the Paris Brest- oh la la! There is also a little patio out front to enjoy a coffee and slowly rapture over your pastry. Could a dessert sound more delightful than this? It’s really not that hard to make either! This recipe is shared from my cookbook, The Butcher, The Baker, The Wine & Cheese Maker – In The Okanagan – Touchwood Editions. *When choosing the ramekins, it is best to use large shallow ones. Bring whipping cream and milk to a boil with the vanilla pod (if you choose). Remove from heat and stir in the lavender flowers, and infuse for 10 to 15 minutes. In the meantime, separate the eggs, measure the sugar, and prepare a water bath (also known as a bain-marie) by adding medium-hot (not boiling) water to a baking dish and filling it until water is halfway up the sides of the ramekins. Strain the cream/milk mixture and let cool down. When the mixture is warm, mix the eggs with the sugar and pour the cream into the egg mixture slowly while stirring (this is called tempering). Strain the mixture. Pour into the ramekins. Bake in a water bath for 20 to 40 minutes at 275°F (135°C), until the crème in the middle of the ramekin is set. Remove the ramekins from the water bath. Let the crème brûlée cooldown, then keep in the fridge overnight. Before serving, sprinkle a thin layer of granulated sugar on top and caramelize the sugar with a torch or in the oven on broil (a torch is much better). 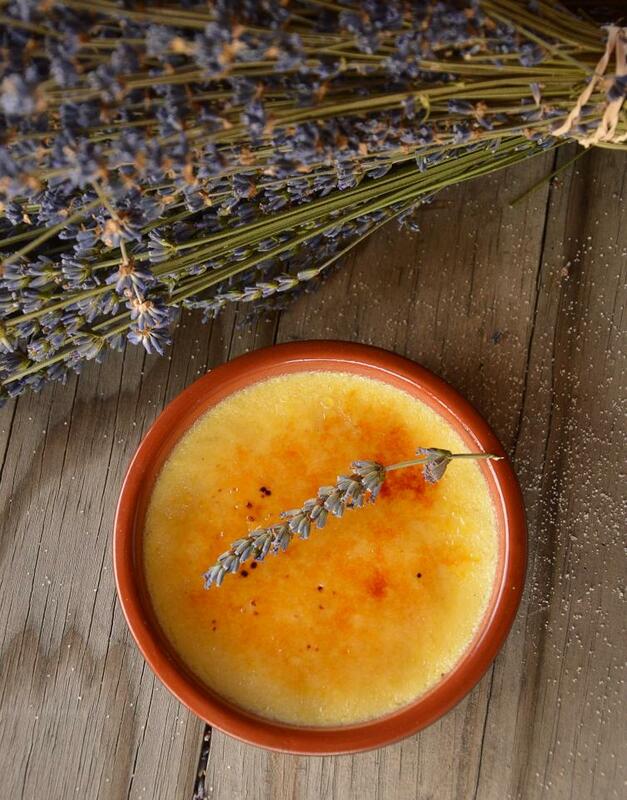 Garnish your crème brûlée with a spring of lavender. Enjoy as soon as the caramelized sugar is firm and cool. Raise your spoons and crack!